Ninjas are coming to New York! 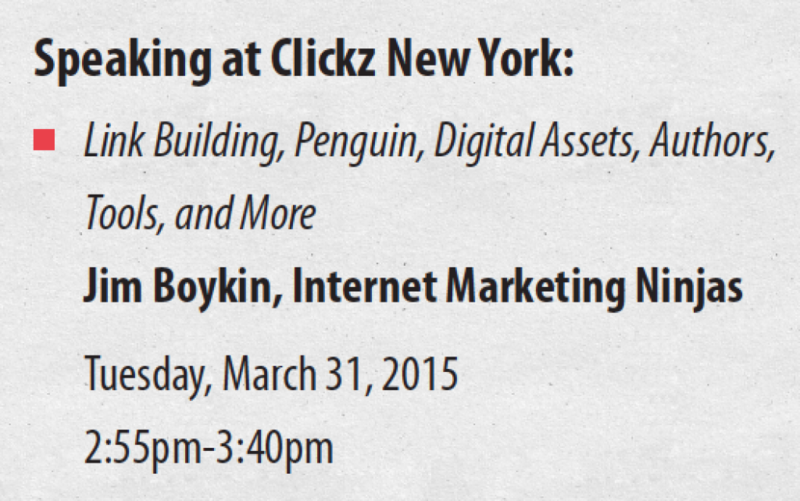 Don’t miss Jim Boykin‘s grand session including everything you need to know about Google Updates, link building and content marketing. Jim’s presentation is filled with actionable advice, examples, tools: Make sure to take lots of notes! With over 16 years of experience in the digital marketing space, Jim’s session will offer unique perspectives into dealing with these and many other complex issues that are crucial to succeeding in digital marketing today! Here’s a quick preview to give you an idea!